The oral abstract deadline is 5 January 2014. Submit an abstract today for your chance to present at this engaging event. 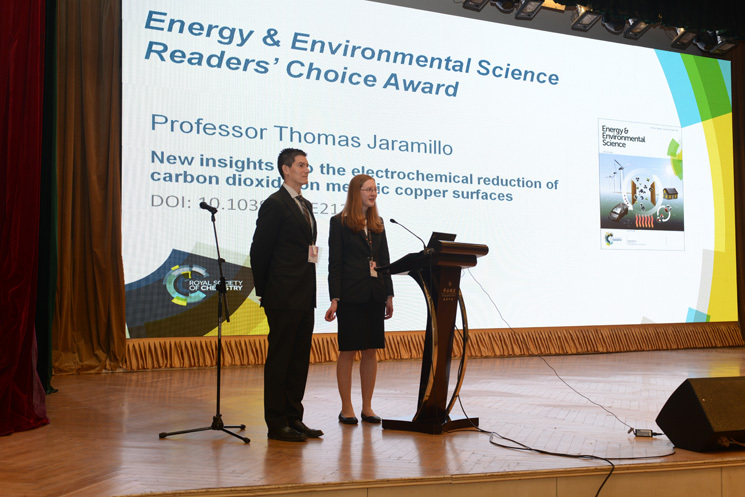 Energy & Environmental Science (EES) is pleased to support the conference and Professor Thomas Jaramillo will give the 2013 Energy & Environmental Science Readers’ Choice Award Lecture at the conference. For full details of how you can get involved in the 2nd International Conference on Clean Energy Science (ICCES2), please visit the dedicated webpage. Institute (RMI, www.rmi.org), an independent nonprofit think-and-do tank that drives the efficient and restorative use of resources. Prof. Lovins spoke yesterday at Imperial College, London as part of their Energy Futures Lab initiative about the ideas in his 2011 business book “Reinventing Fire“. His analysis has shown that it would be possible to run a 2.6x-bigger US economy in 2050 with no oil, coal, or nuclear energy and one-third less natural gas at a much lower cost, with lower CO2 emissions and in a way that is led by business for profit.